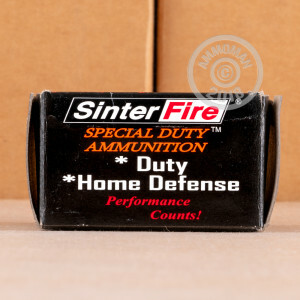 If you're especially concerned about overpenetration in a self-defense scenario, try SinterFire Special Duty ammunition. These jacketed hollow point cartridges defeat assailants without punching through common indoor obstacles; against a hard surface, the copper-tin alloy bullet is designed to disintegrate harmlessly. 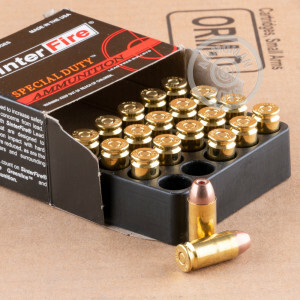 Each .40 S&W cartridge in this box of 20 fires a 125 grain projectile at a muzzle velocity of 1,350 feet per second. Sinterfire ammunition is manufactured in Kersey, Pennsylvania using non-corrosive Boxer primers and brass cases. Place an order for $99 or more at AmmoMan.com and get free shipping!